- Located within the collar reads the following text; La força d'un sentiment (the strength of a feeling). - Be aware of the Catalan flag which can be seen on both the inside and outside of the collar. I bought this shirt at the beginning of my journey as I remember it being relatively cheap. That is the problem with having so many shirts now, that the price of them is ever increasing. This shirt is a fairly standard design. It follows the typical Puma template and doesn't deviate from this. The Catalan flag can be seen on the back of the neck. 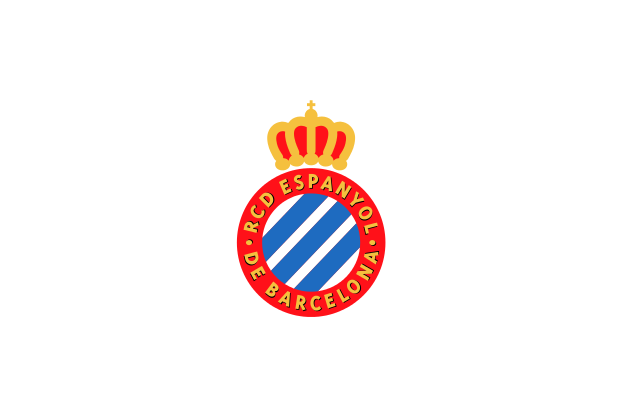 Espanyol are one of several Spanish football clubs granted patronage by the Spanish crown and thus entitled to use Real in their names and the royal crown on their badge. This right was granted to Espanyol in 1912 by Alfonso XIII and the club subsequently became known as Real Club Deportivo Español.